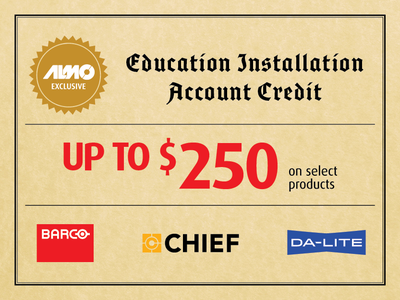 Starting May 1 through June 30, get up to $250 in account credit by purchasing these must-have products for the classroom. See link for full list of products and view the terms and conditions. Bundle and Save up to $1,190 off MAP when you buy a Samsung Fl¡p, Stand and BE82N UHD Display together. 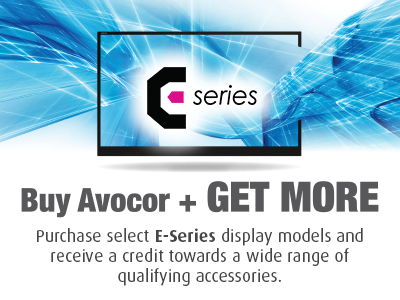 Purchase select E-Series display models and receive a generous credit towards a wide range of qualifying accessories. 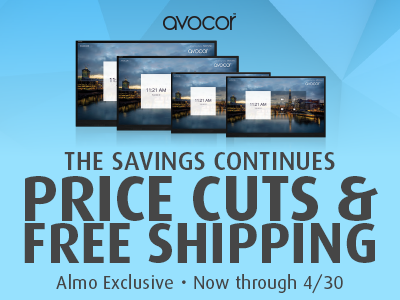 Accessory options include top brands like Barco, Chief, JBL, Vaddio, and many more. 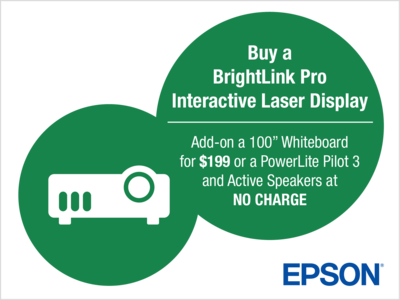 Purchase a BrightLink 710Ui or BrightLink Pro 1470Ui Interactive Laser Display between March 1, 2019 and June 30, 2019 and add-on a 100" Whiteboard for just $199 or a PowerLite Pilot 3 and Active Speakers at no charge.